Roblox, the video game app that’s mega-popular with younger players, is on track to pay out $70 million to its developers this year. That’s up from $30 million last year. There are 4 million developers building 400 million Roblox games. They’re all free to play, with the premium Robux currency as a way for developers to monetize — which has made for some young millionaires. Now, the company is looking for ways to increase opportunity for developers, says CEO David Baszucki. To that end, Roblox has hired on former Activision exec Enrico D’Angelo as vice president of product for the developer platform. This weekend, Roblox is hosting its annual Roblox Developers Conference event in Burlingame, California, which is very close to San Francisco. At the event, the company will tell the four million developers building games for its platform that it’s on track to pay them out a collective $70 million this year alone. That’s up from the $30-plus million it paid out in 2017. 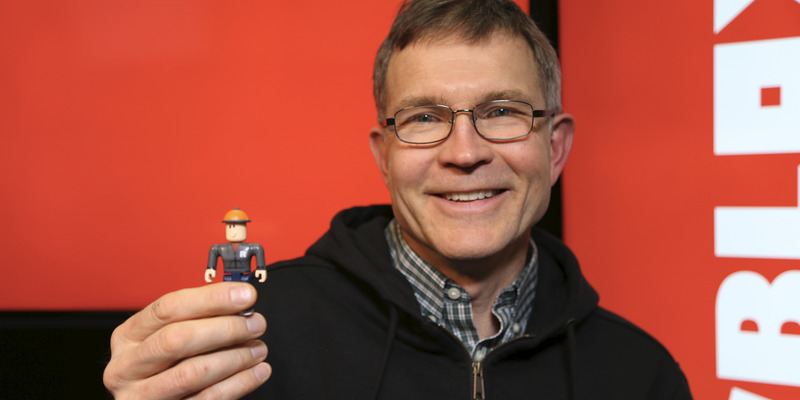 "There’s enormous upside in the size of our opportunity here," Roblox CEO David Baszucki tells Business Insider. Some of that upside is for the company itself. Earlier this year, Roblox announced that it was cash flow positive for the first time, with "hundreds of millions of dollars in bookings" in 2017. More recently, Recode reported that Roblox is fundraising at a valuation of up to $2.4 billion, citing a company filing. Baszucki declined to comment. 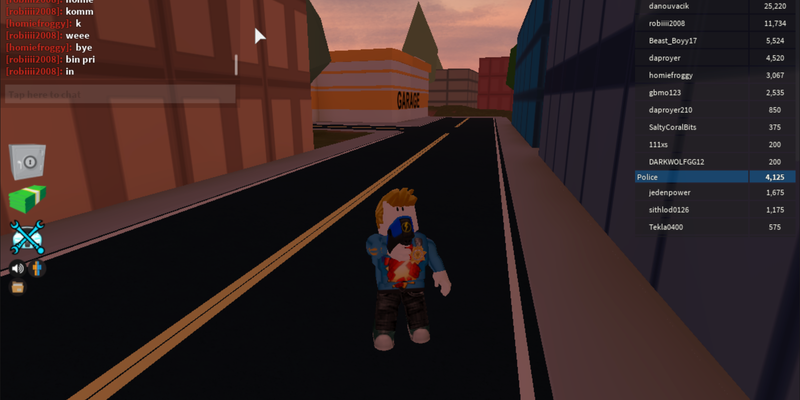 Unlike "Fortnite" or most other smash-hit video games, Roblox is entirely created by its users. All 40 million Roblox games, including smash-hits like "Meep City" and "Jailbreak," were created by its base of mostly-younger independent developers. If a player chooses to spend the premium, virtual Robux currency in a game, the developer gets a cut. And that’s meant big opportunity for Roblox developers: In 2017 alone, one top creator cleared $3 million in earnings, while two more claiming $2 million. Others are paying for their college educations, or even starting their own companies to make more Roblox games. Now, says Baszucki, as the platform grows, so too has the opportunity for developers. While not every Roblox creator can make millions, he says that "the long tail of developers who are making a living has grown exponentially" over the last year or so. To keep the momentum going, Roblox has hired on former Activision exec Enrico D’Angelo as vice president of product for the developer platform. The goal is to keep building the behind-the-scenes tools that developers use to build their games, in pursuit of what Baszucki says is the ultimate, ambitious goal of the Roblox platform. "We have an enormous vision for a new category for human interaction, and ultimately, immersive entertainment," says Baszucki. Further to that end, Baszucki also highlights the company’s educational efforts: This summer, Roblox has or will run over 500 coding camps and other introductory classes, using its platform as a learning tool. Importantly, those classes are both in the United States, and abroad in countries including Canada, Brazil, and the United Kingdom, highlighting what Baszucki sees as a major opportunity to bring the platform to international audiences. For more established developers, Baszucki says Roblox is working on ways to engage with developers and help them be more successful. For instance, the company has begun inviting developers to come in to its Silicon Valley offices for two- or three-month residences, giving them direct access to the people who make the platform. "We’re developing a lot of resources for developers to build their knowledge," says Baszucki. Finally, Baszucki says that if Roblox is going to really reinvent entertainment as he believes it will, the company will continue doubling down on finding other ways for developers to monetize that goes beyond their games. 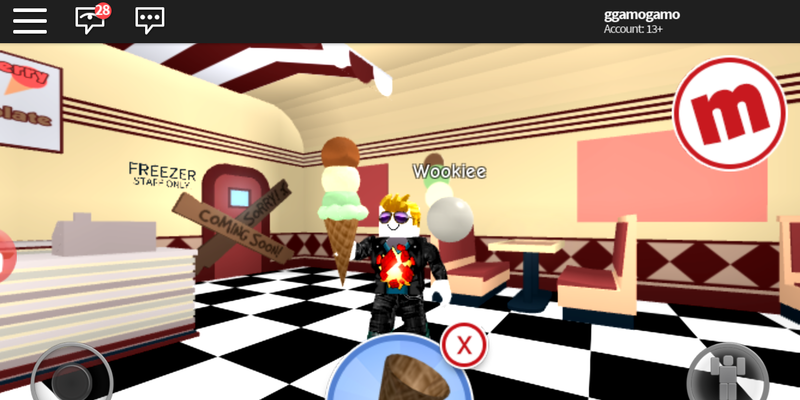 The company recently got into the action figure and apparel business, licensing out popular characters from top Roblox games — he says that there’s no reason why Roblox games couldn’t inspire movies, TV shows, or a web series, either. "[Developers’] vision goes beyond creating gameplay," says Baszucki. "There’s enormous value in their stories, avatars, and situations." The University of Nottingham created a light display that is controlled by brain activity. Using a headset we were able to control the light display with our minds. The display is shaped like a human brain to represent which parts are in use when the headset is worn. Business Insider was given the chance to control lights using nothing but the activity of our brains. We wore a headset that uses a method of recording electrical activity in the brain called Electroencephalography (EEG). The headset sent the signals to a light rig hanging above our head. Certain actions triggered different brain frequencies, by opening our eyes we were able to make the lights blue, which represents increased activity in the brain. This is because we are taking in more visual information for our brains to process. By closing our eyes the lights change to red, this now represents a less active brain due to the lack of visual stimuli. The University of Nottingham created the demonstration to show how our brains work, but the team are working on a new, more accurate method of scanning the brain. They have designed a new Magnetoencephalography (MEG) scanner that is an alternative to traditional MRI scans. Traditional MRI scans require patients to sit still, which can be difficult for children and those with mobility issues. The new scanner they are developing is worn on the head like a helmet and allows patients to move freely. It is still in an early stage of development and only two scanners exist in the UK, but the team aim to have it widely available within the next 10 years. Produced and filmed by David Ibekwe. Original Reporting by Isobel Hamilton. Special Thanks to the University of Nottingham. You may have noticed that a fair amount of players in the World Cup are spitting quite often. And not just hocking a random loogie. We’re talking about players spitting a powerful stream of liquid like they were an ancient Roman marble statue in a fountain. It turns out that some of these players might have a great reason to be spitting like a llama. There’s something called “carb rinsing” or “mouth washing” and it is said to help performance in top soccer players from around the world and it just might help you. You may have seen Cristiano Ronaldo and England’s captain Harry Kane as well as midfielder Dele Alli spit massive amounts of liquid out during the World Cup 2018 like they were a lawn sprinkler. There is actually scientific reasoning for players spitting out their drinks instead of consuming them. Carb rinsing is a fitness technique where athletes swash around a carbohydrate solution in their mouths for around 10 seconds, but they don’t ingest it. Instead, they deliberately spit out the liquid. The carbohydrate mixture tricks the body into performing better. Since 2004, researchers from the University of Birmingham have been investigating carb rinsing with athletes such as cyclists and runners. The scientists discovered that the carb rinse activated muscles as if the athletes had consumed carbs despite not consuming any carbs. Receptors in the mouth tell the brain that the body is about to get a flow of yummy carbs. The brain tells the muscles that they are about to get refueled so they can continue to push hard, thus postponing fatigue. Early research has found that the carb rinse boost lasts approximately 15 minutes. The athlete gets the psychological advantage of thinking they are receiving carbs without being weighed down by drinking too much. Researchers found that athletes who carb rinsed performed as well as those who drank a sports drink or consumed food. Other nutritionists argue that the body needs carbohydrates to perform at optimal levels and you cannot “trick” the body into receiving actual nourishment. Carb rinsing can’t trick the body forever because the body needs to restore the depleted glycogen. Athletes get up to 60% of their daily calories from carbohydrates, so that’s like 400 grams of carbs a day. That’s desperately needed carbs that you’re spitting onto the grass. Some nutritionists say to rinse your mouth with a sports drink and then swallow it to get the maximum benefit. Carb rinsing proponents say that carb rinsing is only ideal for intense exercise lasting between 30 minutes to an hour. Since soccer matches last at least 90 minutes and can go for two hours, carb rinsing might not be the best approach. Let’s hope that carb rinsing wasn’t what cost England the game against Croatia in the 109th minute. The sun’s ultraviolet radiation is dangerous to our skin cells because it damages our DNA. That’s why sun exposure can cause cancer, and why sunscreen is so important (even apart from its power to prevent sunburns). There are sunscreens that claim they can help your skin repair that damage—and, it turns out, they actually might (might!) work. Some animals and bacteria produce DNA repair enzymes that we don’t, Robbie Gonzales reports at Wired. Some of these are activated by sunlight, and preliminary studies show that they can actually be absorbed through human skin and protect DNA from radiation, as advertised. But there are a couple of problems. One is that we only have a few lab studies to go on, not a solid body of evidence. Another is that these enzymes haven’t gone through the FDA approval process, and aren’t widely available. But the biggest issue is simply that they’re expensive. Estée Lauder makes them, Gonzales found, and sells them to other cosmetics companies who want to make DNA-repairing sunscreens as a pricey niche product. Three to four ounces will run you anywhere between $45 and $75 depending on the brand. That’s enough for maybe a couple of days of responsible sunscreen use. So don’t expect these formulas to replace your regular sunscreen any time soon.